A British Colonel , An Orphan boy, another poor boy sold into slavery by his father, a pretty little British girl of “privilege” another quite capable young lady skilled in the martial arts. Along with assorted Assassins,Freedom fighter’s,Pirates,and a crazy monkey! 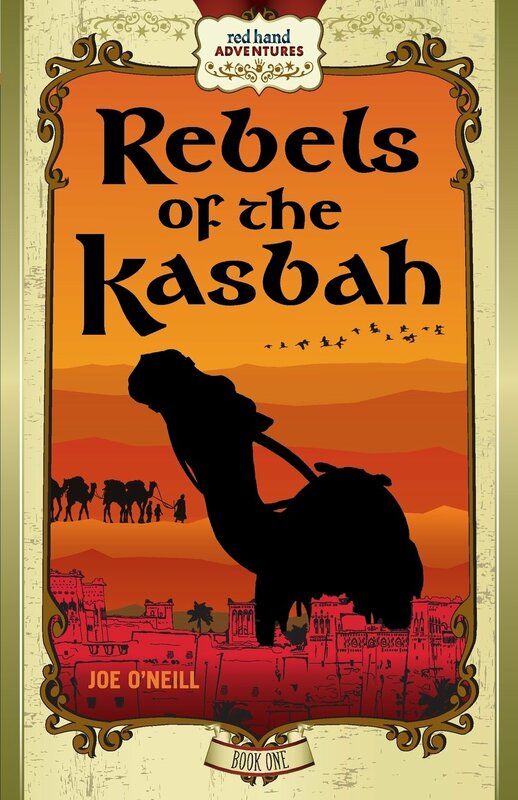 All set the desert of 1912 Morocco.Does this sound like an Adventure to you? You better believe it. A very well written Adventure at that. What I like best is the author’s way of Character development. As the story developes so does the readers understanding of the characters. Written in a flashback type the author keeps you interested in the main adventure while at the same time telling the back story of the main characters and how they came to be where they are. We also have here a very educational opportunity here for the age group reading this book (5th Grade and up) a chance to learn a little about another culture and a different time and part of the world. A far as the story itself it follows a group of kid’s that were basically stolen and sold into slavery and how they cope and get involved with the a fore mentioned revolutionaries,assassin’s, pirates and other assorted bad guys. This book sounds just perfect for my 5th grader. I’m always looking for an adventure book that will keep him interested. Bookroomreviews is amazing! I can’t really think of anything to improve it? Perhaps the ocasional author interview readers might find interesting .